We are committed to providing the very best service for every patient and their family. We see parents and other family members as partners. Our goal is the same as yours: protecting your child’s smile. Please ask our team members any questions you might have about insurance and payment, dental health advice, or concerns about treatments. We are here to help! Meet Dr. Asha Patel, D.D.S. Dr. Asha has been treating patients in South Austin for the past 7 years. She’s enjoyed being a part of the community and especially watching many of her patients grow up! In the fall of 2018, she opened Super Kids Austin. Her goal is to create an environment where all children and their families feel safe and at ease. She focuses on preventative care and establishing good oral hygiene. She is committed to high-quality, ethical treatment for all patients. Dr. Patel won the Opencare Patient’s Choice Award and consistently receives stellar reviews from her patients and is known for her gentle and patient approach to treating kids. My parents are immigrants from India and I was born and raised in Alabama. I went to Louisiana State University for both undergrad and dental school. Since then, I’ve been in Austin! 2. What’s your favorite part about being a dentist? The best part of my day is when a child comes in super anxious about being at the dentist, but they overcome their fears and leave with a smile. Sometimes it takes a while, but eventually they come for their next checkup and they are happy to be here. My first languages were English and Gujarati. Later I learned Hindi/Urdu and now I’m working on Spanish. If I could have any power, I’d have super sonic speed! That way, I could get more done in less time and be lighting fast when doing treatment on patients. 5. What do you do when you aren’t at the office? I am a mom to three young children so they keep me busy all the time. We love playing hide-and-seek, having movie nights, and trying new recipes together. I try to go to the gym and do Crossfit as often as I get the chance. I also like to travel and have new experiences. The first person you meet when you walk in to our office is usually Mayra. She’s our friendly, bilingual receptionist and insurance specialist. She’s also a registered dental assistant, so she’s happy to help answer any questions or concerns you might have. Mayra is an Austin native and enjoys going to the park, out for desserts, and movie nights with her husband and two daughters. And on your way out of the office, be sure to ask her for your balloon prize. Mayra loves making our patients smile! Liz Beltran has been helping make kids’ teeth sparkle for the past four years. 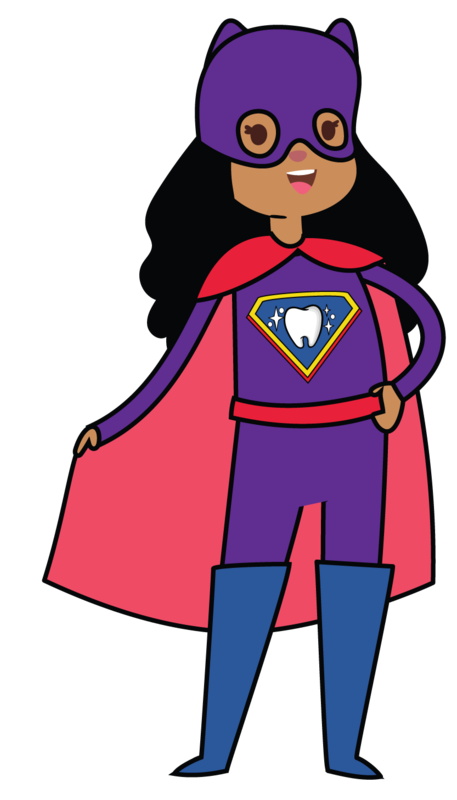 As the dental assistant at Super Kids Austin, she loves helping kids learn how to brush properly. Liz works with Dr. Asha to give kids a clean and healthy smile. She prepares for appointments, takes X-rays, and makes our patients comfortable. If she could have any superpower, Liz would definitely pick X-ray vision. When she’s not making patients smile, Liz enjoys hanging out with her son and having great meals. Her faves are pizza and tacos de pastor. Liz was born in San Marcos and grew up in Buda. When she was little, she was afraid of the dentist but overcame her fears when she realized there wasn’t anything to be scared of! At Super Kids Austin, Liz gets to help this generation of kids love the dentist. Our team at Super Kids Austin is ready to join forces with you to keep your child healthy. We offer real online scheduling so you can book appointments anytime it’s convenient for you.